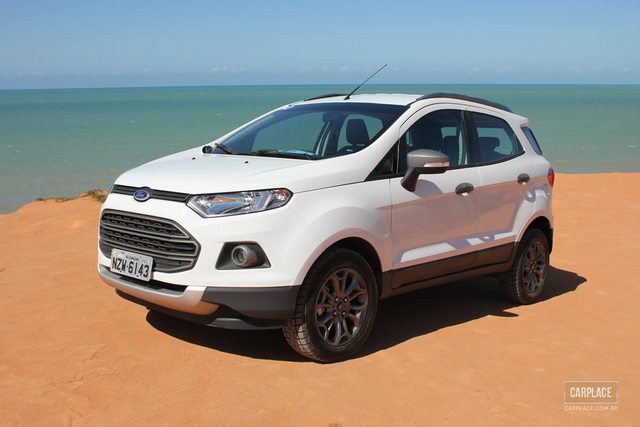 Here is thread where we can discuss post pics of hotly anticipated mini SUV the FORD ECOSPORT. I think this will go head to head with the Mahindra Quanto. I prefer the looks of this too over the Quanto. It looks more SUVish. I reserve my final opinion till i see it in the flesh though. A good price and cheap spares should make it a success. all depends on pricing, if Ford prices this over 8 lakh ex-showroom, this will sell only as much as the Fiesta does. I think it's going to be a huge hit, as I haven't seen such hype for any upcoming car! How many special disscusion threads are/were avalaible for any other upcoming cars? @Mods, please post this thread on FB, so we can know common man's response! When i enquired about the pricing in ford dealership, they said petrol ex showroom rs 7-9lakhs, diesel 8-10lakhs. Dont expect it be priced lower than this. It sure will be a head-turner, but if the pricing is not right it will be an utter disappointment ! Eagerly waiting for it! Ford for God's sakes "get the pricing right"! I assume they've learn't their lessons from the current Fiesta pretty well. Ford needs a bread & butter model now, Figo is ageing fast, what better than Eco-sport. 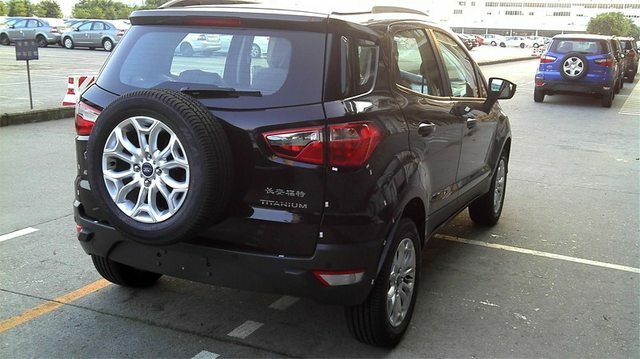 Its 4250mm extra length measured in other countries is including its Spare wheel mounted on its tail-gate, while in India for sub 4-metre small car norms, measurement of spare wheel is excluded. What i mean to say here is that its actual body/chassis length including bumpers is quite near to 4m & its bumpers need to be shaved only by few millimetres to achieve 4m length mark. If they manage to add a working scoop on bonnet, it'll look awsome! With Media hype they have created and attention they have managed to get, its going to receive overwhelming response for sure. Also 1 liter Eeco Boost engine is going to win many heart by its mileage and performance figures. IMO, EcoSport will have more petrol buyers than diesel. Irrespective of pricing, its a instant hit for sure but in long run prices will play their role. As said by many people, pricing is going to be the "key" factor deciding it's success. As shown in ACI video, it's got good ride and handling (as most fords), will have FE engines and looks. However, i have my reservations on the pricing because if they price it at par or below new fiesta then they can very well shutdown new fiesta's assembly lines as nobody will even consider it when a more competent product is available at less/same price. But somehow i feel ford is going to price it on the higher side. 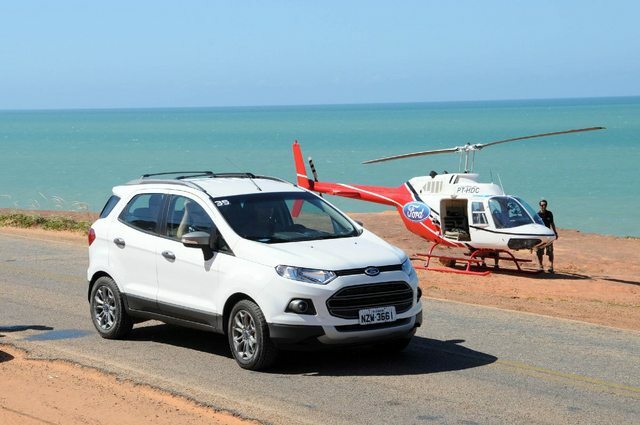 Does anybody know when exactly the Ecosport is going to be launched? Some reports suggest early 2013 launch, while others hint on a diwali launch. Can anyone throw some light? Butch looks, a pair of great engines, good space and top notch dynamics. Pricing of this product eventually decides the fate of its stint in our market. I expect this car to undercut Renault Duster by atleast Rs.50k(~Rs.7.5 lacs for base dieseI) & that's the only price brand where Ford can fetch the max out of it else below that price band there'll be Mahindra Quanto(mini xylo) while beyond that it have to fight with Duster & its own sibling new Fiesta sedan. So, pricing will really be a very crucial aspect to decide the fate of this car. Expect it to arrive it in showrooms by Q1 2013, not before that. A dummy Air scoop on bonnet can be imagined but a working one is a remote possibility, as it's having its intercooler mounted at the base of the front grille(like endeavour), so for what it needs a working scoop on the bonnet top. That's true. 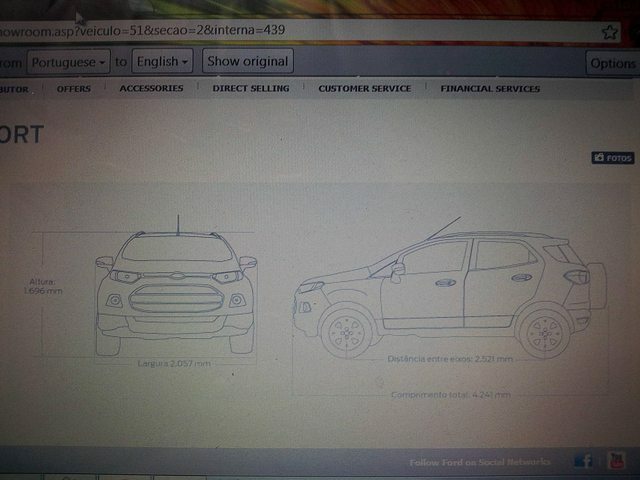 All I was trying to imply is that the Ecosport will need some rework for India, to fall under the 4m bracket. 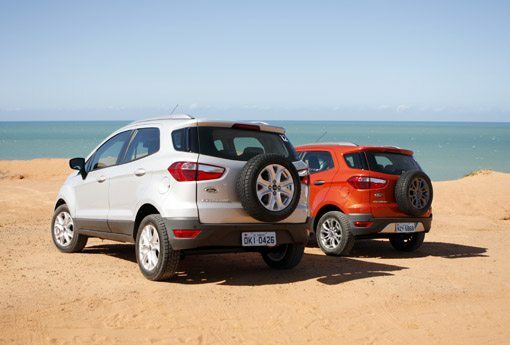 Out of the 4241mm length of the Brazilian Ecosport, I would imagine they would shave off at least 200mm for the wheel. The other 40-50mm would have to be adjusted with the overhangs, whether it be a different front or rear bumper.The rear overhang already being at the bare minimum, I'd assume the bumper/grille might be a little different from India. Retaining the same style, but a bit flatter than the global design. 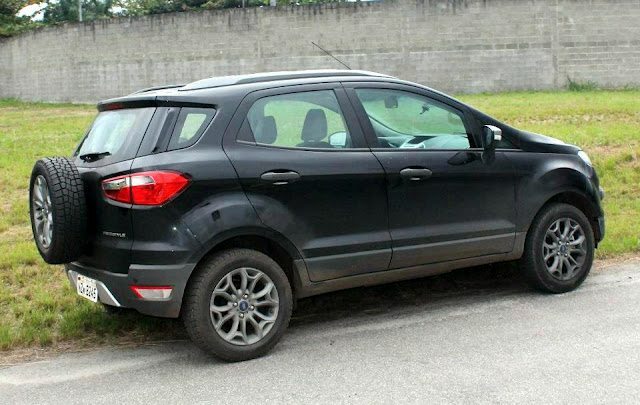 With the Ecoboost engine due to be localised here, I would expect Ford to have learnt something from the success of the Figo as against the Fiesta disaster, to arrive with a very appealing pricetag. The rear, as we've seen from the Autocar India test also, is not necessarily "roomy" and the ingress/egress might be a bit of a task for chauffeur driven India because of the relatively smaller rear doors. I agree with your view. 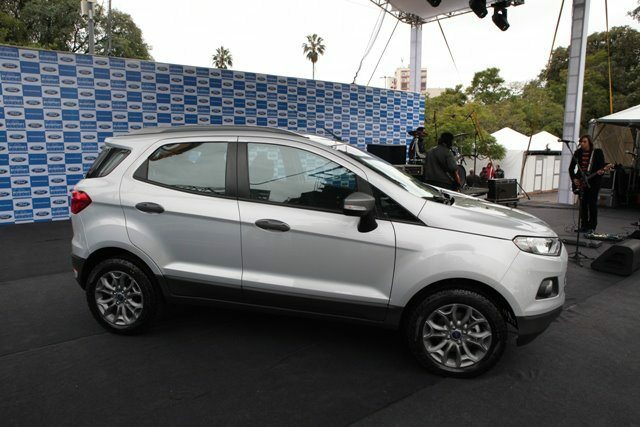 I too think that ford ecosport will be priced lesser than duster,because of its 4meter length advantage. I think it will be either at par or lesser than the new fiesta pricing. But hope so it will be priced below new fiesta. I am 99% sure to purchase this mini SUV when its launched.We are going to replace our old fiesta 2009 tdci which has crossed over 1lakh km with this BABY MONSTER. So actual length of vehicle without rear spare tyre will be 4241mm-205mm(widgth of spare tyre)+20mm(space between rear spare tyre and body of the vehicle)= 4241-4225=4016mm. 4016mm is nearly 2cm above 4metre. So it will not be very difficult to alter 2-3cms.Also interior space will be nearly equal to brazilian vehicle. 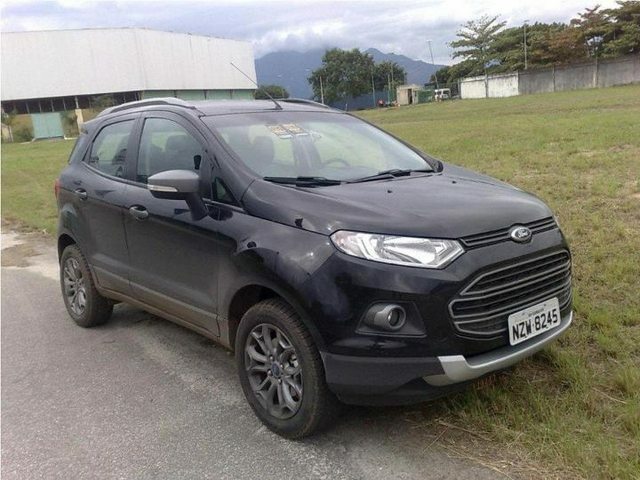 Ford Ecosport trial production to begin in Feb-March 2013, launch thereafter. Thanks for posting in a very Informative way. Is a four-wheel drive expected anytime soon? That will surely dent the sales of both the Duster (does not have one) and the Scorpio (only decently-affordable one), both priced higher. As per ACI Video Reviews, the complete package seems fit for Indian Mid/upper Mid class families. 1 " its launch time, more the company will delay more the options the customers will get" Diwali is a good season for Indian Shoppers..
2 " Price Strategy (hopefully not Skimming like other ford cars), it should be Penetration Strategy (To survive competition from Ertiga, Quanto, Duster, Evalia etc) if Ford want to set up it into Customer's Minds the right price tag can be petrol 5.5 to 7 and for Dsl it should be 6 to 8L".. 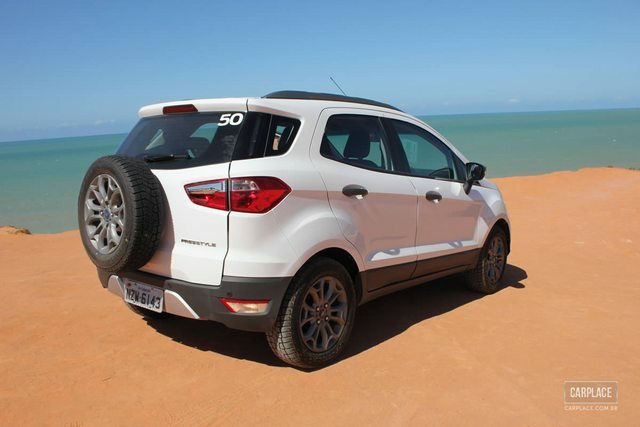 In the ACI review, width of EcoSport is mentioned as 2060 mm. Is this specification confirmed because it seems to too wide for it's segment. I mean if that's the case then it would be the widest SUV considering all the current options available in market (Safari/Fortuner etc). Also, the interior space shown in different pics doesn't make it look that wide.